Spread Pick: Maccabi Tel Aviv with handicap -5 at 1.61 Over/Under: Over 154.5 1.90 Bet Now! Just like last year, Galatasaray will be squaring up to Maccabi Tel Aviv in the Top 16. Given that last year was a championship winning year for the Israeli side, it is no surprise to see that Maccabi grabbed wins in both of the games. 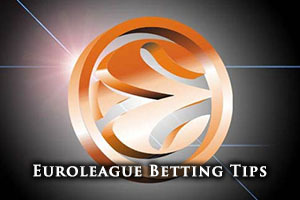 Whether this has any influence on your thinking about this game is up to you but if you need assistance with respect to Euroleague basketball betting, we can help you out. There will be a chance for the Turkish side to seek revenge in this game but one player who will be looking forward to this game is Aleks Maric. The center joined the Turkish side from Maccabi before the Top 16 started. There is also the fact that Carlos Arrayo is another player that used to play for Maccabi so there are some players involved with Galatasaray that will be desperate to overcome the champions. Galatasaray currently hold a 6-9 record in the Euroleague, which includes a 4-6 record in the regular group stage and a 2-3 record in the Top 16 so far. The team has managed to score an average of 78.3 points in the Euroleague this campaign. The team has been boosted by the form of Goran Erceg, and the Serbian center, has provided an average of 15.8 points per game and an average of 4.5 rebounds per game. There has also been some strong form from Carlos Arroyo, who has offered an average of 13.4 points per game and an average of 4.5 assists per game. The Turkish team have also been struggling in their domestic league, sitting in fifth place with a 10-7 record. In their most recent domestic game, Galatasaray won 87-79 at home against Banvit BK. Maccabi Tel Aviv hold an 11-4 record in the Euroleague this season, which includes a 7-3 record in the regular group, and a 4-1 record in the Top 16. The team has notched up an average of 78.9 points per game, just ahead of Galatasaray. Devin Smith, the US guard has been in fine form this season, offering an average of 15.2 points per game while providing an average of 6.9 rebounds per game. There has also been strong form from Jeremy Pargo, another American guard, who has offered up an average of 12.7 points per game and an average of 6.2 assist per game. 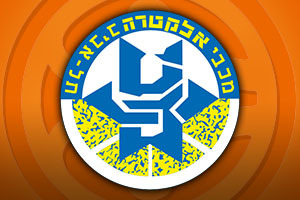 Maccabi are looking good to progress and they are also looking good in their domestic league. They site in first place with a 16-2 record and their most recent game was a 85-75 win over Galil Gilboa. For this game, Maccabi Electra Tel Aviv are looking good and taking them with a -4.5 handicap at odds of 1.90 looks to be a sound bet. If you are keen to take on the Over/Under market, have a go at going Over 154.5, and both of these bets are available with Bet365. If you fancy watching this game live on Thursday 5th February, we can help you to catch Galatasaray v Maccabi Tel Aviv as it happens. Bet Now!